"We took turns licking the bowl". 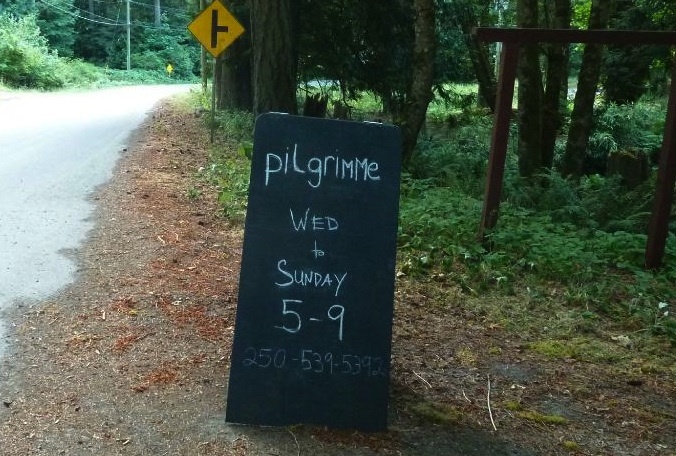 From a review of Pilgrimme on Galiano Island, BC. I look forward to eating there in a few weeks. "From the fermented potato bread and marinated olives that came out first, we knew we were in for a special experience. The plates were miniature works of art that were carefully assembled prior to serving. The salad of Galiano greens and summer vegetables literally glowed with color. The albacore tuna and Salish Sea salmon were sublime. We just had room to share the dark chocolate and bergamot pot de creme with sea salted caramel. Turns were taken licking the bowl."